Welcome. We are so happy you’re here. We’re Adam and Joanne Gallagher, the creators and publishers of Inspired Taste. Let’s stay in touch! Adam and I have been sharing recipes since 2009. 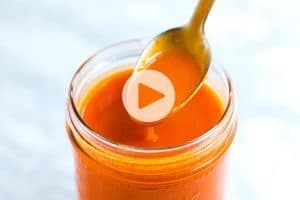 If you would like to keep updated with new recipes and receive exclusive content from us, subscribe to our newsletter! Adam and I will personally send you recipe inspiration straight to your inbox. To join our list, enter your email address below. 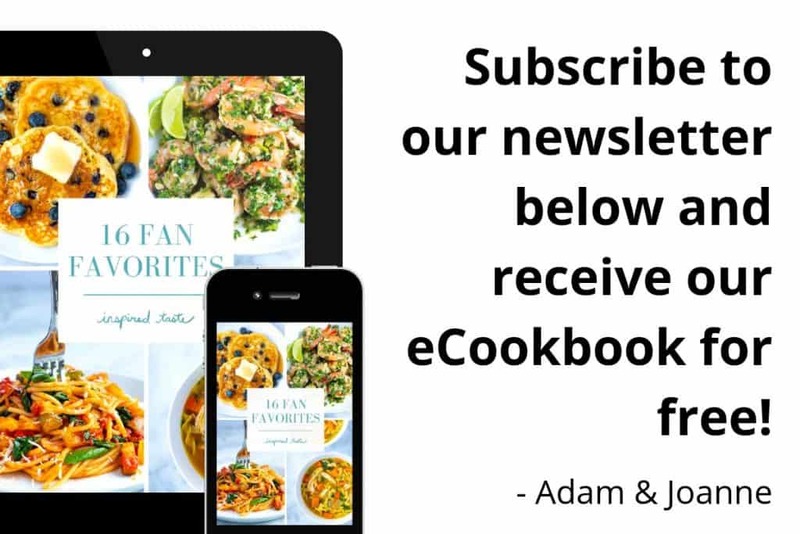 As a thank you for joining our community, we will send you a link to download our free eCookbook with 16 of our most loved recipes. Happy cooking! Inspired Taste will use the information you provide on this form to send newsletters containing recipes and cooking inspiration. You can unsubscribe at any time by clicking the unsubscribe link in the footer of any email you receive from us, or by contacting us at inspiredtaste@gmail.com. We will treat your information with respect. By clicking below you agree that we can send you our newsletters by email. We use Mailchimp to send emails. By clicking below to subscribe, you acknowledge that your information will be transferred to Mailchimp for processing. Learn more about Mailchimp’s privacy practices here. Click subscribe below to join our newsletter list. As a thank you, look out for our welcome email with a link to our free eCookbook! You can also follow along with us through social media! We’re just about everywhere. We are also on YouTube! 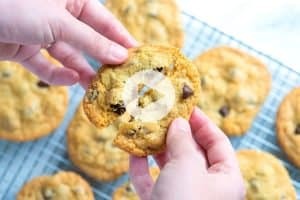 Subscribe to our YouTube channel to watch all of our recipe videos!